Please note that the following Cottage pages were written just after we returned from Loftus Road in 2004. 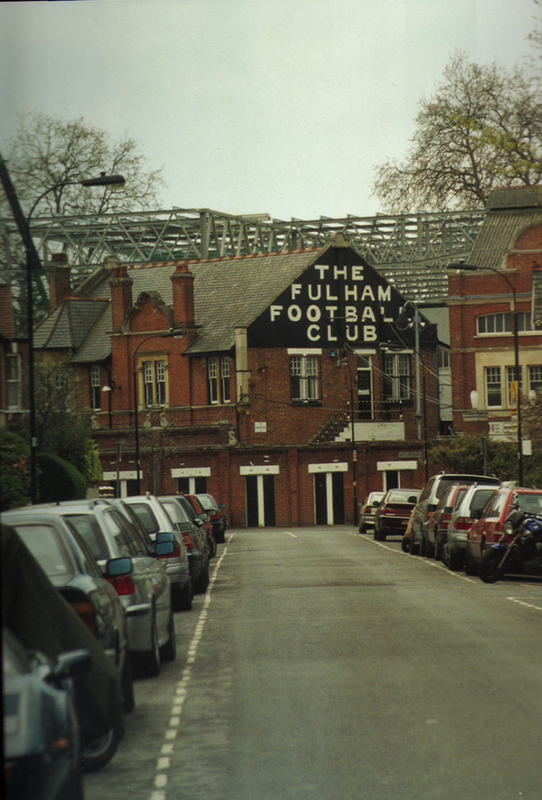 The cottage that stands in the bounds of our ground is an inseparable icon in the minds of all Fulham fans. 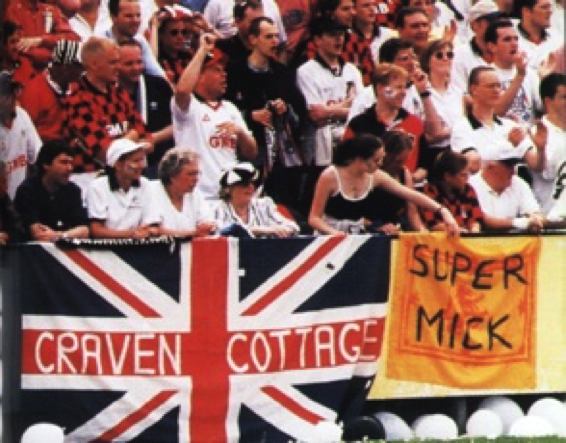 However, we have had so many close shaves with losing our beloved home, including the historic Stevenage Road Stand, the cottage and all, over the past four decades that we should be excused if we give thanks every game we still play there. In the very early days of the fanzine, the Club, was by now under the new stewardship of Jimmy Hill, Bill Muddyman and co. 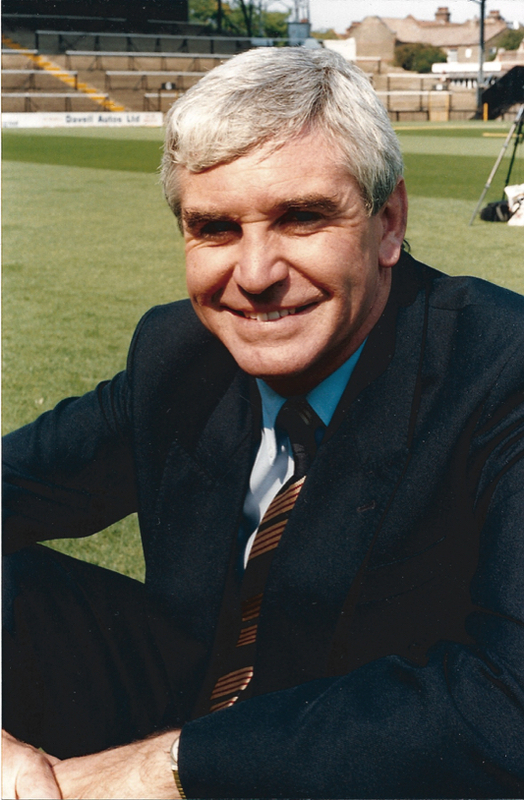 These stalwarts were struggling to come to terms with the fact that Ernie Clay, Chairman from 1977 to 1986, had sold the ground to property developers Marler Estates. Clay's plans to part-develop the ground had been bulldozed into touch so he sold out for a handsome profit. 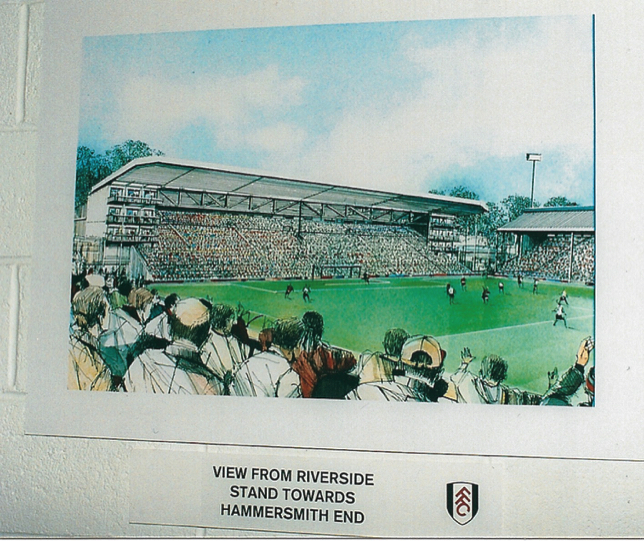 Solid backing from the Council, utterly priceless, they showed more vision than some supposed 'Fulham Benefactors'. Cabra Estates' plans excluded a football club. Allan and Frances Gould leafleting on behalf of the Fulham Supporters' Club. 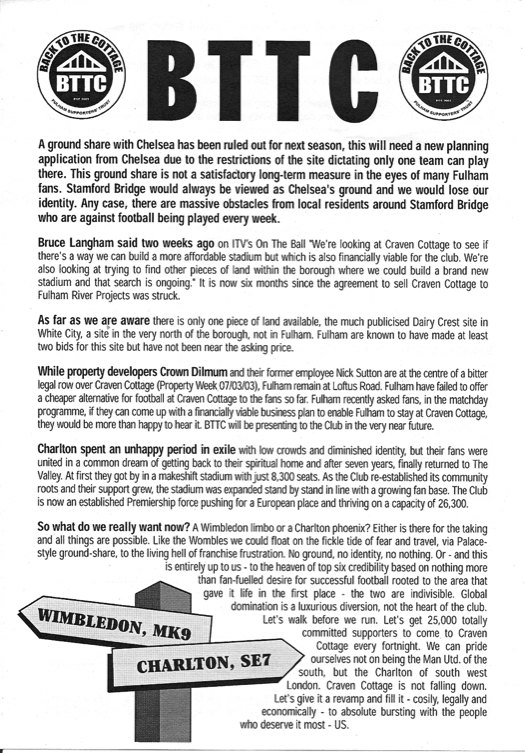 Here they join forces with Chelsea fans under the same pressure from would-be ground developers. 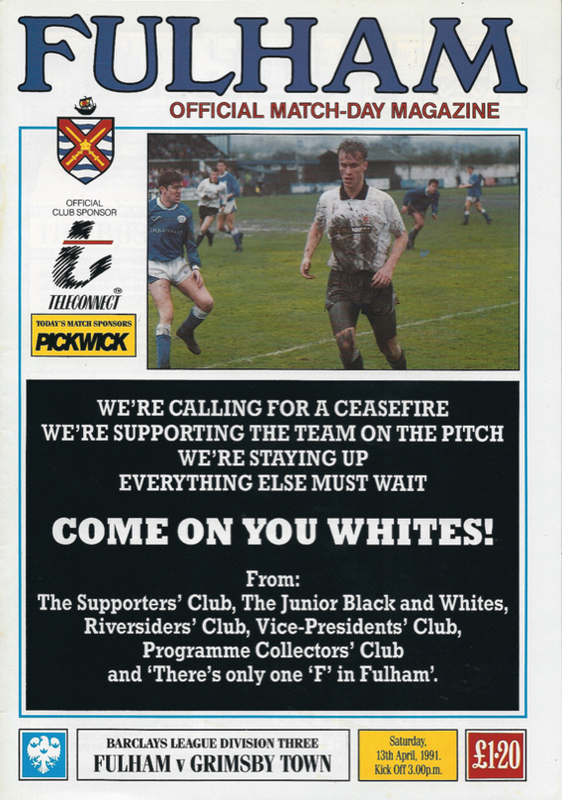 The Official Matchday Programme rallies the troops to get behind the team by way of a 'ceasefire'. 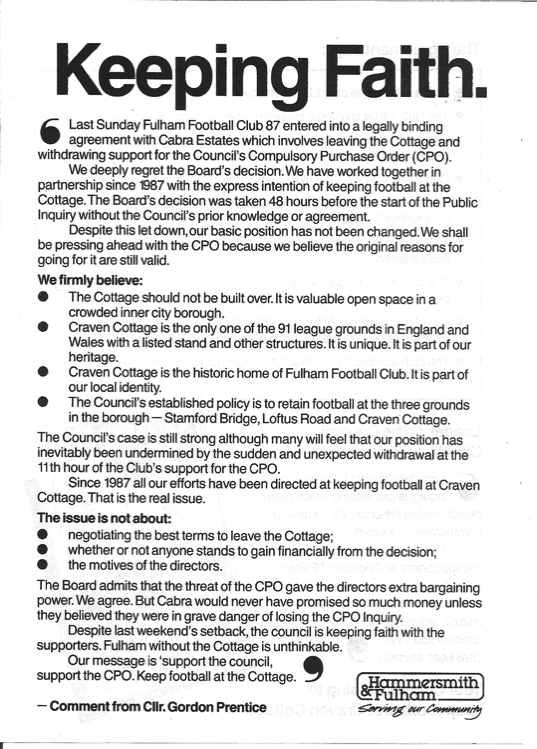 DL's Supporters' Club article from the matchday programme prior to the CPO (Compulsory Purchase Order) Inquiry. 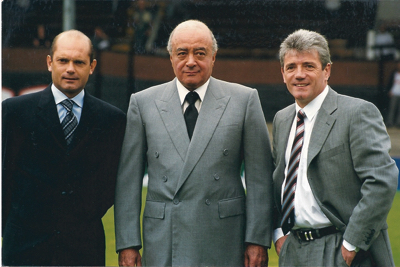 The deal horrified most supporters, most of whom believed the club and the ground were inextricably linked. 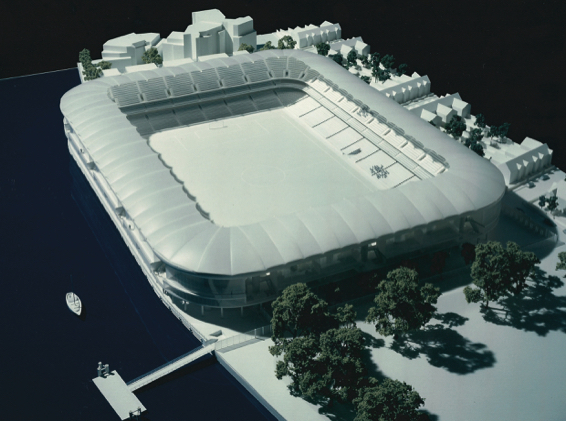 Sure, the future of the club came first, but the CPO inquiry offered a realistic means of regaining the Craven Cottage site. A key argument for the pro-Cottage supporters was that was no real Plan B. Groundsharing – with Stamford Bridge the obvious candidate – was a hot potato locally, while the only other 'option' at the time was a mythical purpose-built 'Legoland' stadium somewhere within the M25. What the hell was going on? The club argued that they couldn't take the risk of losing the CPO and so took the property developers' money – by now Marler had sold out to Cabra Estates – which included an upfront payment of £2m for withdrawing their support for the CPO. 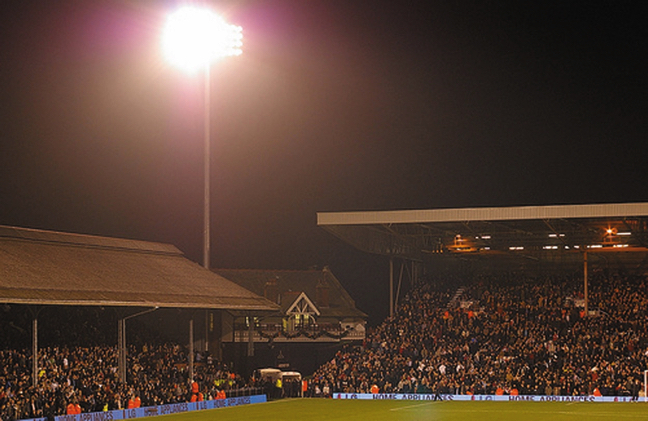 A further £3.5m would follow when the club vacated Craven Cottage while the remaining hand-outs were subject to various conditions being met. 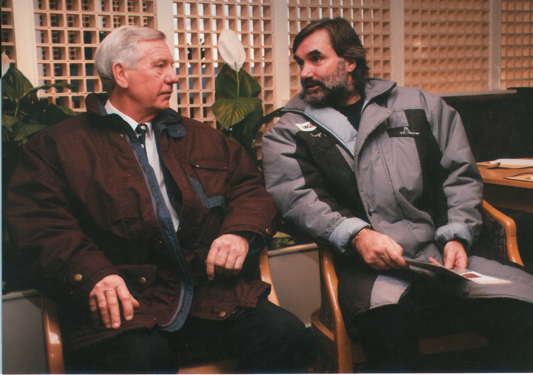 The deal also saw the lease, due to expire on May 31, 1990 extended for a further three years. The controversial deal, however, did provide the fledgling TOOFIF with an unexpected bonus: within the small print lay a clause that barred anyone from Fulham FC from commenting on the deal via its own outlets, i.e. 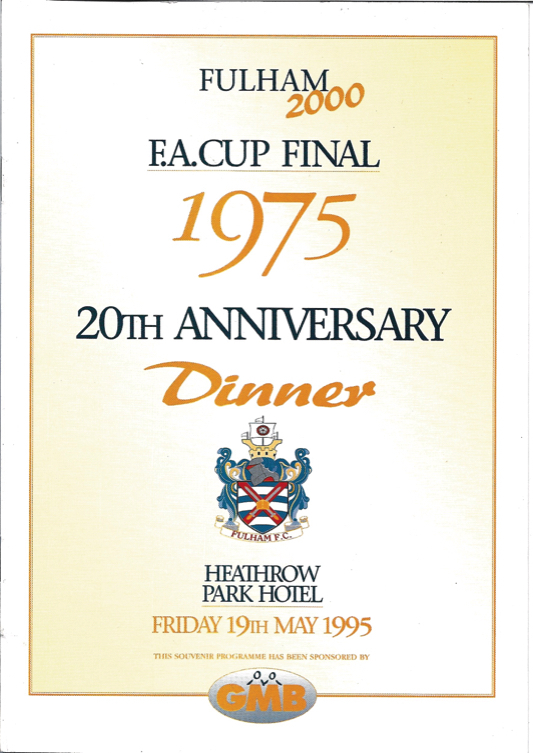 the programme and Clubcall. Remember, this was way before the internet, swish club magazines and wall-to-wall media coverage offered nowadays. The independently run TOOFIF, though, was free to carry on unhindered and probably made its name in trying to keep the magnificent diehard supporters fully in the picture (or at least as far as possible!). These were crazy times. A clutch of local residents, seemingly hell-bent on seeing the club go to the wall and with it an ensuing rise in their property prices, became very vocal. Every syllable written at the time was monitored by all parties. One word inadvertently out of place could easily have led to disaster. (This was underlined when various passages were subsequently read out and discussed at the public inquiries… leaving yours truly on tenterhooks.) Thankfully no damage was done. Phew! However, without the football club's support, the inquiry was lost. 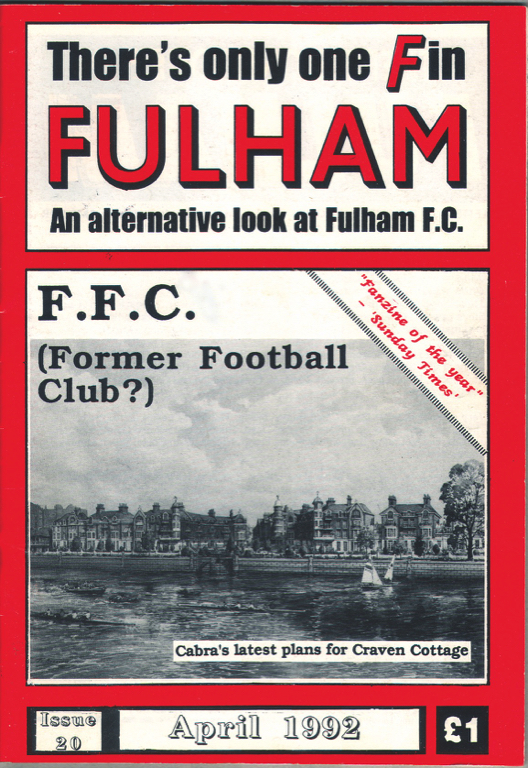 At the time, the prospect of Fulham playing in the top flight ever again was nonsensical. Our cash windfall from Cabra, far from securing (or improving) our third-tier status was negated by bad management. 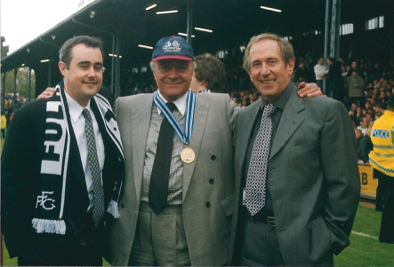 Fulham FC, once of Division One (yesteryear's Premier League), and proud producers of a magical England captain in Johnny Haynes and an England World Cup winner in George Cohen, were on the wane and, unable to secure the necessary points on a miserable afternoon in Swansea, they slipped into the basement division in 1994. The ground issue rumbled on and on. Every time the supporters thought they had engineered a winning goal, the goalposts were moved or further time was added to the clock. But with Cabra's hopes of building luxury flats on the site taking a daily nosedive, along with their share price, this particular episode had a happy ending. The property developers' dreams went down the divisions even quicker than Fulham! Unlike Fulham, Cabra did not survive. How we cheered! So, some breathing space. And we were still at the Cottage. Now, though, we had to deal with Cabra's principal creditors, the Royal Bank of Scotland (RBS). Fulham supporters hadn't sat idly by during all of this. 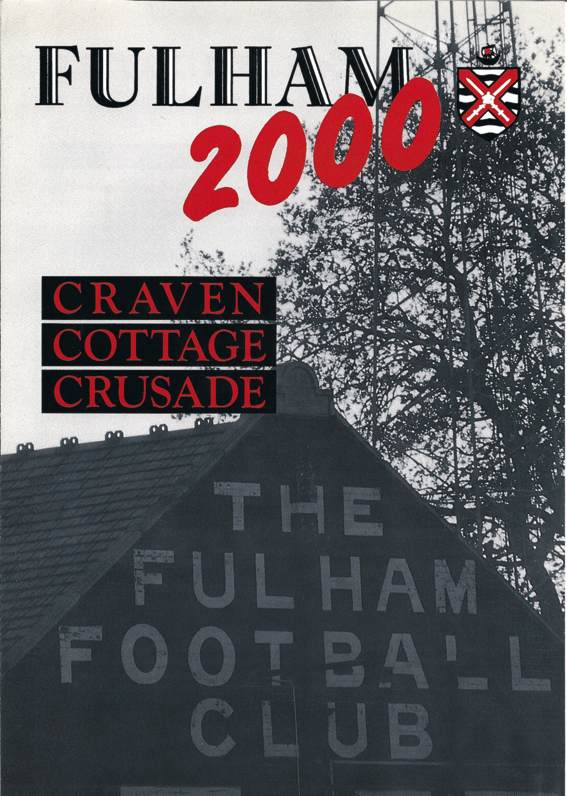 In February 1993, and with Fulham's lease on the Cottage ticking down towards the May 31 deadline, the supporters unveiled their 'Fulham 2000' scheme, inviting supporters from all over the land to join for £10. All monies raised would go towards the cost of a high-profile campaign to persuade RBS to deal with Fulham FC – at the time RBS were refusing to discuss either a lease or a buying option. Ian Branfoot 's team stuttered, but he deserves some credit for turning Fulham back into a Football Club… and for Micky Adams, Glenn Cockerill, etc. How the ground was supposed to look (if it snowed, that is!) 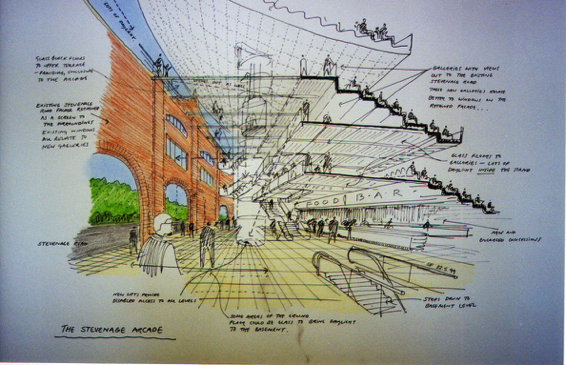 once Jimmy HIll & co's 15,000 all-seater plans were given the green light. Simon Morgan's excellent self-penned warts 'n all story of the Promotion Season. Tickertape following! 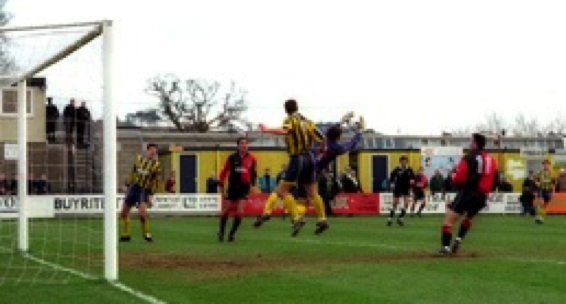 Having been in the 4,000s between 1985–1996, attendances began to climb back to where they'd been throughout the 70s. It was goodbye to all this, seats all round from now on. 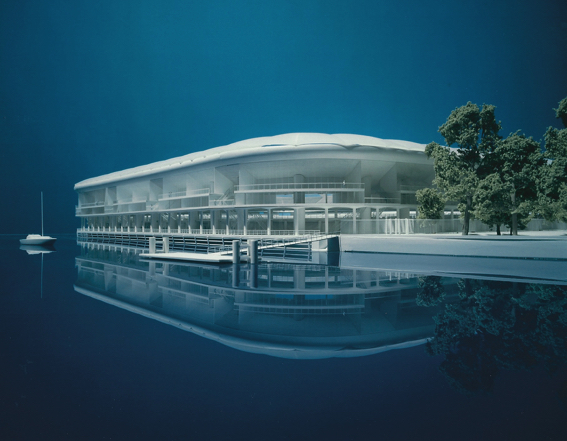 Artist's impressions of the swanky 30,000-seater high-tech replacement for our beloved Cottage. 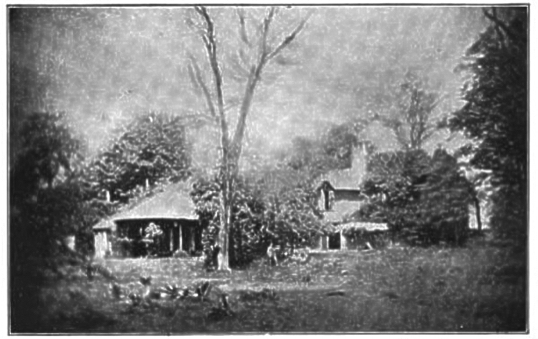 The famous tree and the Cottage would have to be sacrificed were this to be given the final 'okay'; note the jetty, handy for up-river away-days. Mysteriously the estimated cost jumped to £100m from the original estimate of under £60m, strange that, and oh yes the Craven Cottage ground had been sold in the meantime, Eh????? 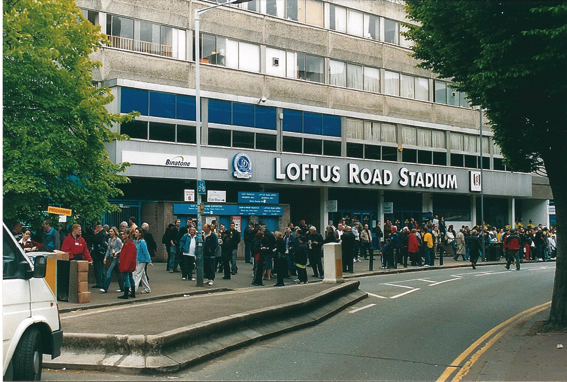 Loftus Road, FFC's home for one season which morphed into two, elicited horrid echoes of Fulham Park Rangers. The first person to join Fulham 2000 was the great Johnny Haynes, followed by George Best; not a bad first pairing on the 'teamsheet'! £20,000 was raised in the first couple of weeks – then came the news that the Royal Bank had agreed to a new £10-year lease, with Fulham FC having first option to buy. 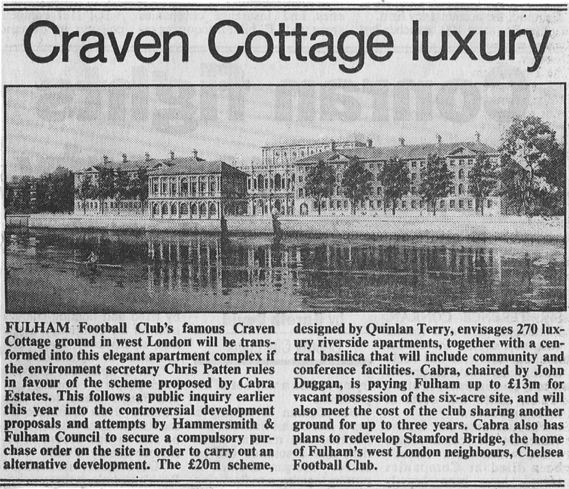 Tantalisingly 'our' Craven Cottage could indeed be ours again, but at a price. It was money the club didn't have. 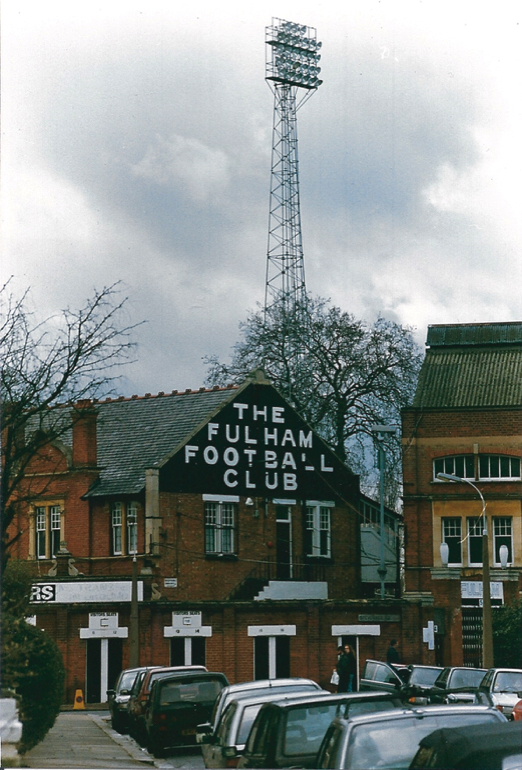 As for the lease, little or no rent was to be paid to the Bank to begin with, as long as Fulham sought planning permission for partial development to add value to the site. The downside of this would be a scaling down of the stadium capacity to 15,000, and with it any hopes of once again competing with the big boys. 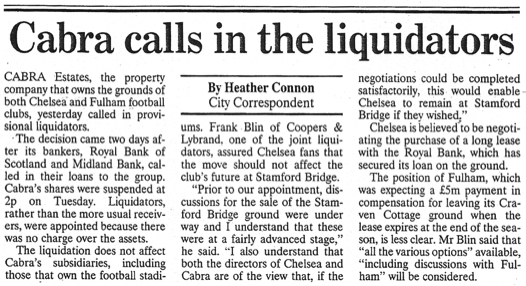 Crucially, these agreements also allowed the club to buy the freehold from the bank for around £7.5m. 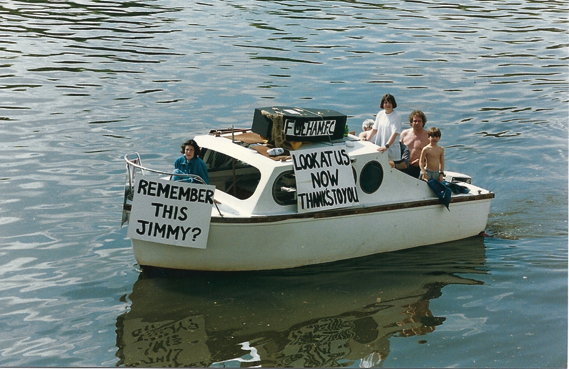 The Fulham 2000 group accordingly stepped up its fundraising. The board now agreed to purchase the Cottage but could not agree on the best method. 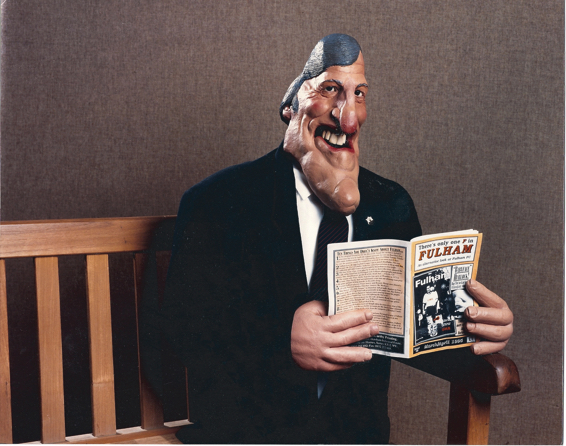 Jimmy Hill wanted to go ahead with the partial development; vice-chairman Bill Muddyman, though, was looking for a major investor. Suddenly it was exit Jimmy Hill and hello Mohamed Al Fayed who rode into town promising (and delivering!) Premiership football. 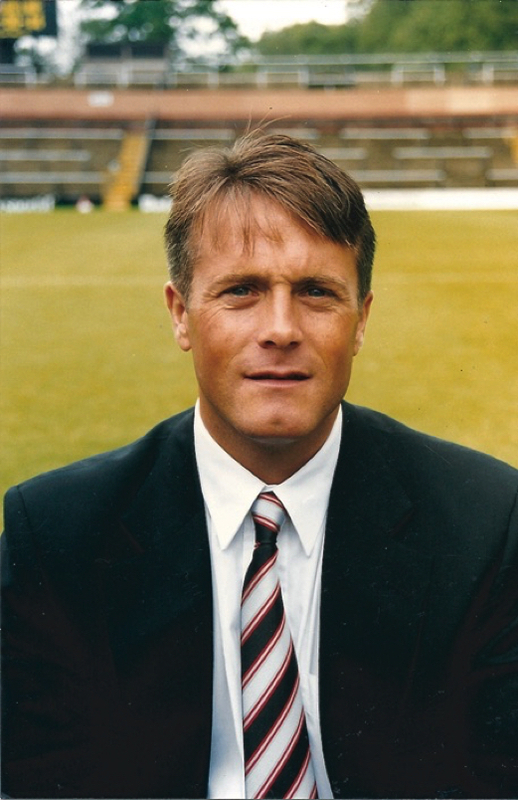 It was also exit Micky Adams, not a big enough 'name' in football for the new Chairman's grand plans. In his place came Kevin Keegan and Ray Wilkins. 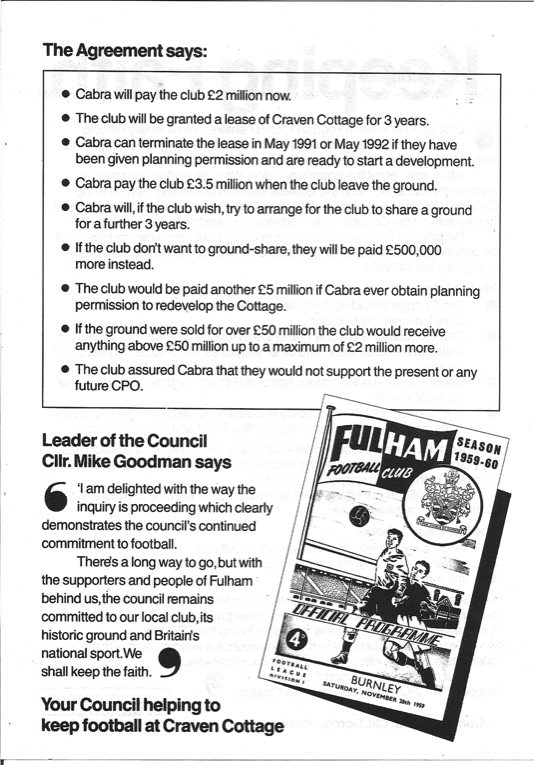 By then Craven Cottage had been purchased – yippee! – although it wasn't long before it became a thorny issue once again! 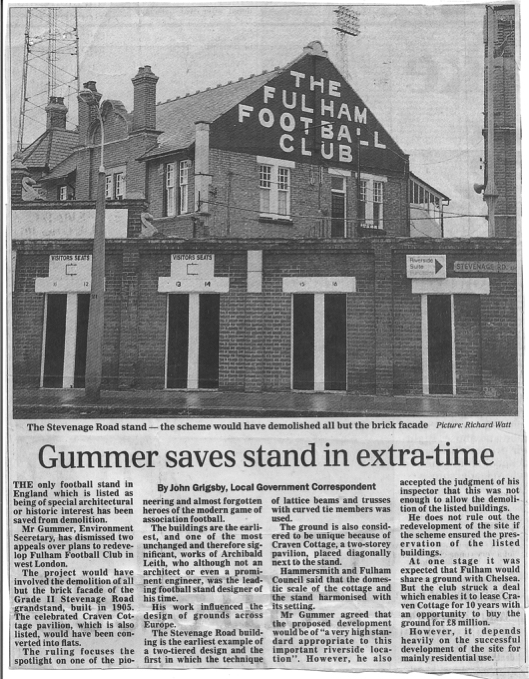 The money raised by Fulham 2000 was sunk into the ground's repurchase and the £750,000 refurbishment of the Stevenage Road Stand's Edwardian facade. However, a new wonderstadium was in the offing and, after yet another series of public meetings and consultations, it finally received approval… only to get dropped on the grounds of cost and viability. During this time, Fulham were making tracks towards the Premier League. By the time they got there in record-breaking style under Jean Tigana in 2001, post-Hillsborough rules required all top-flight clubs to have all-seater stadia. 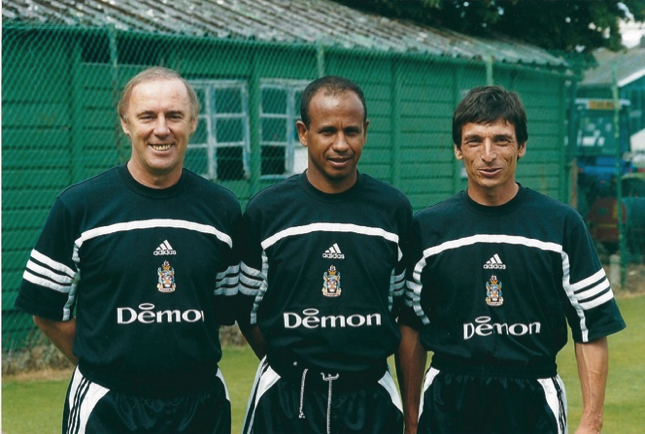 Having risen so rapidly, Fulham had a 12-months grace period, but were unable to settle anything in that time. 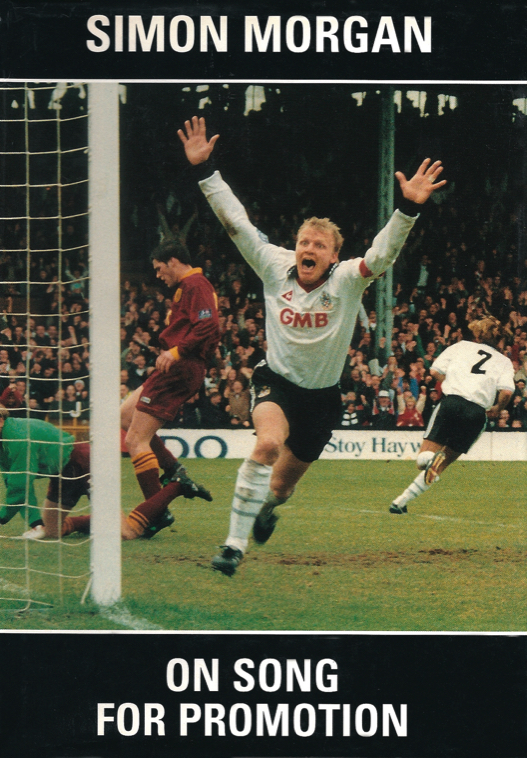 So, after several supposed 'last-ever' games at the Cottage over the years, there was indeed a last one this time (in fact, more than one! : the final League game was a fixture against Leicester City in April 2002, but further Intertoto matches, against Egaleo and FC Haka, were staged there in July). And off we went... to Loftus Road. 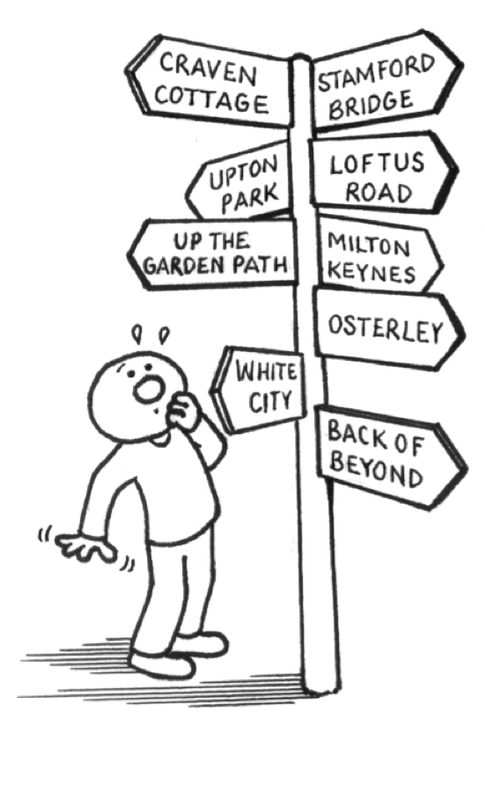 A one-season stay became two as it became clear that the club were pursuing a site at White City. With little or no information being passed to the fans, once again the age-old tensions and concerns resurfaced. 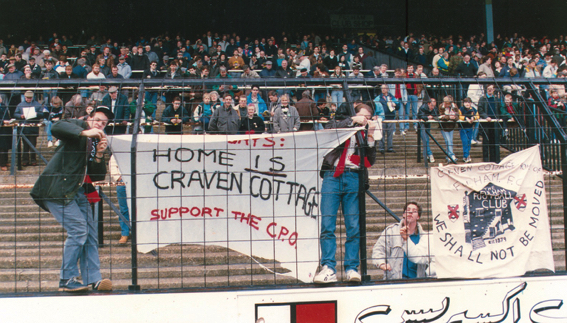 Before we had even left Craven Cottage a supporters campaign entitled “Back to the Cottage” (BTTC) had been developed. 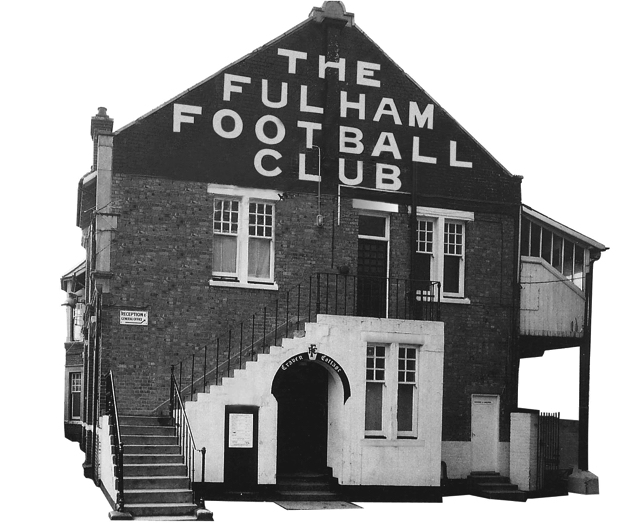 What started off as a small group of like-minded fans distributing leaflets and engaging the media to seek answers to a number of pertinent questions, soon developed into an umbrella organisation initially within the Fulham Supporters' Club. 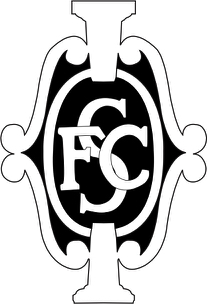 Following a well attended meeting at Hammersmith Town Hall, fans decided to establish the “Fulham Supporters' Trust”, following the successful model in place at more than 100 clubs across England, Scotland and Wales. 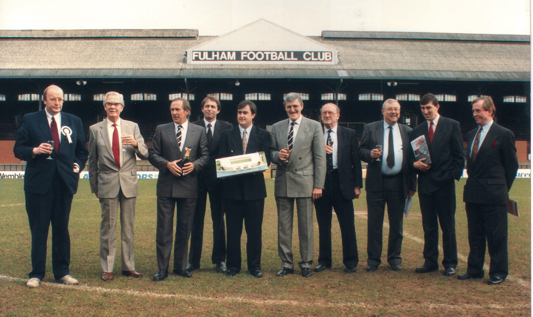 The key aim was to encourage the Chairman and his advisers that Craven Cottage was the only viable option for Fulham FC. 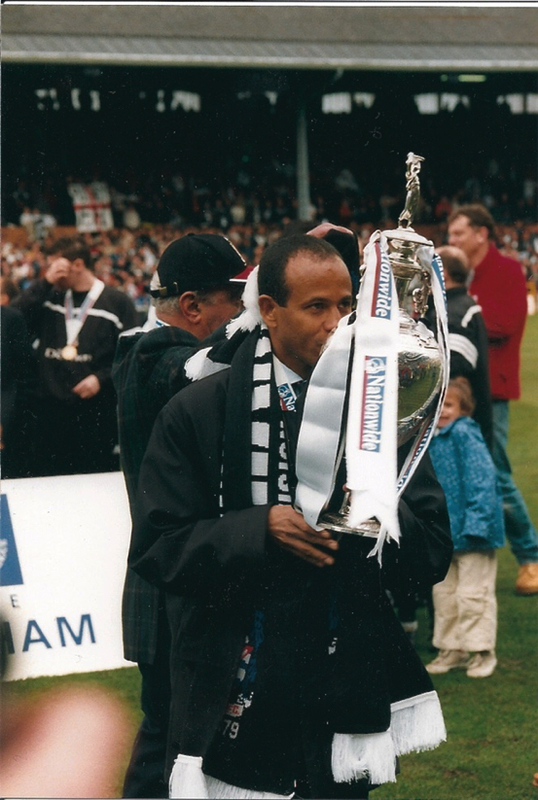 Jean Tigana's team swept all before them to win the Championship by a mile. The Putney End work in progress as seen from the renamed Johny Haynes (Stevenage Road) Stand. 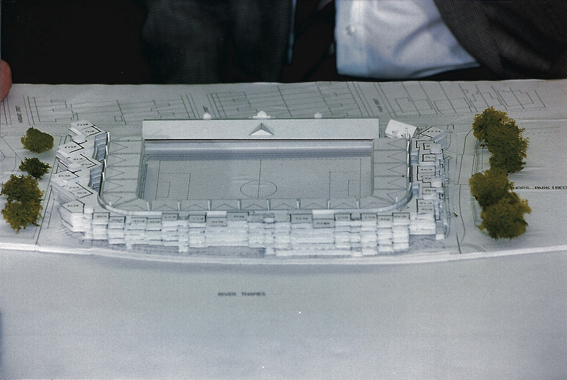 How the current new look Hammy End was designed, to contain a larger roof structure, seats and hospitality 'towers', note there is no green pole and only one verticle structure impeding views. The Putney End roof is underway together with new structures for an all-seater stand. At the opposite end, The Hammy End getting its refit. 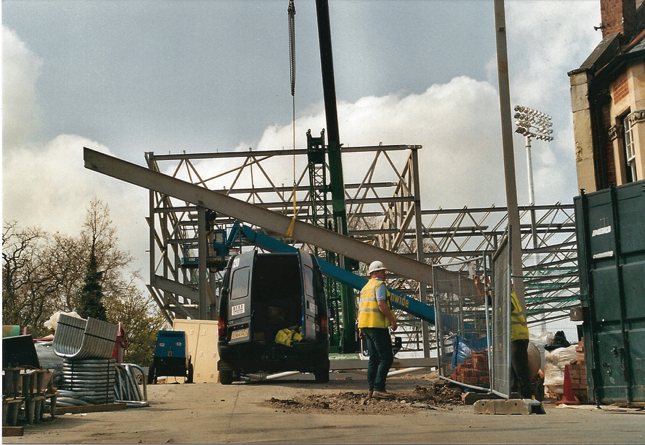 Matchday – and the new Putney End as we first saw it.! The new lights and Putney End from the Surrey Bank, at home against the Gunners. 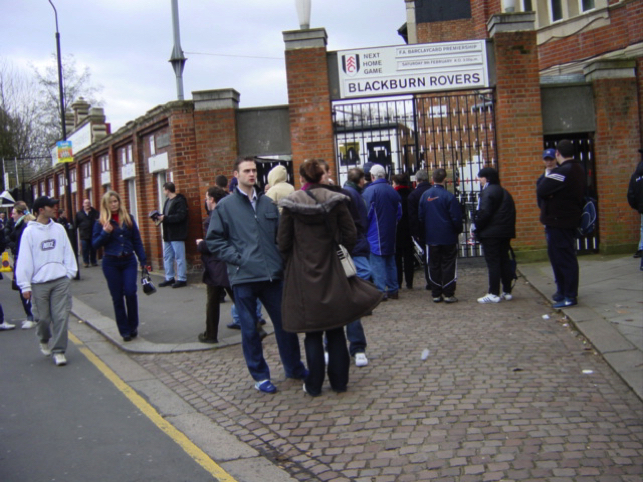 Stevenage Road at te end of the 2001-2002 season, 'The Last Games at the Old Cottage'. Everything looked great on the Stevange Road fascia, all stuced up, hmm, seen that logo before, can't think where! 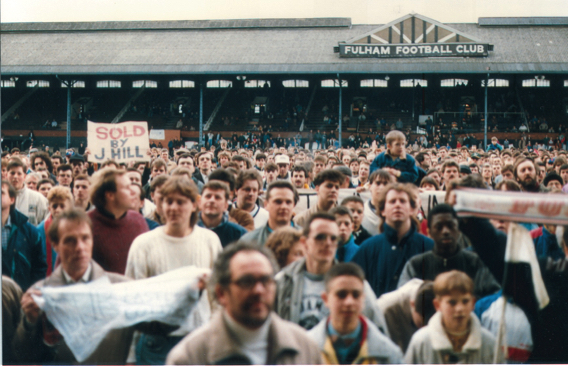 Standing only in the Hammersmith End just prior to our eviction to Loftus Road.. 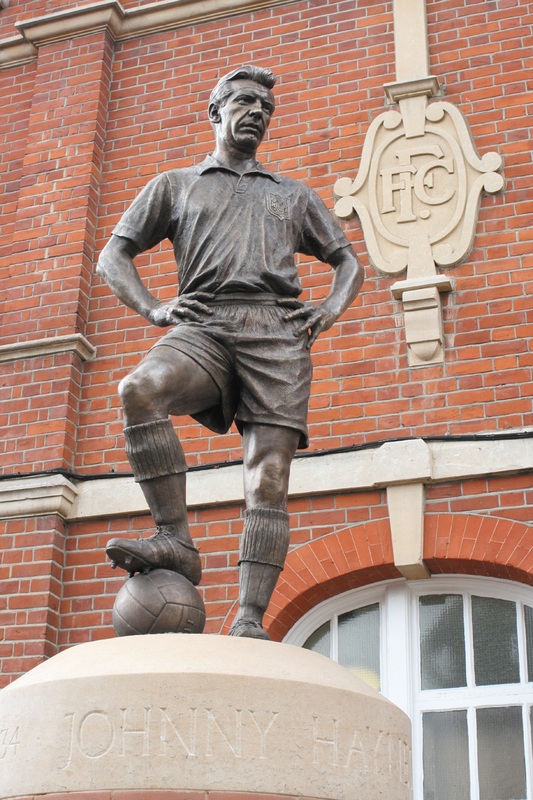 Under Micky Adams, the still virtually penniless Fulham FC began to make great strides and, following a fantastic squad effort, clawed its way out of the division – upwards! It was a move that heralded one of the most significant few days in the club's history. In the summer of 2004 Fulham FC and it's ever-swelling band of supporters did indeed return to a refurbished Craven Cottage – a move that, with shades of Paul Parker's transfer to QPR, was part-financed by the sale of Louis Saha to Manchester United for £9m. It was a move that brought relief and delight in equal measure. 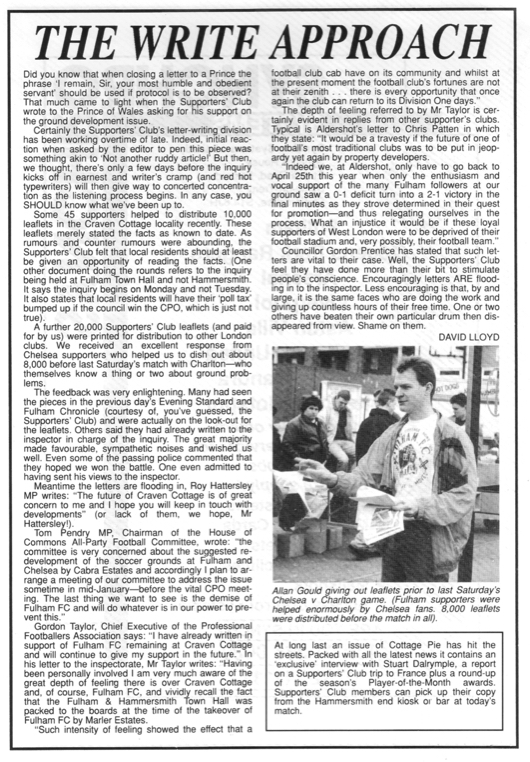 Club historian (and these days a director) Dennis Turner takes up the tale brilliantly in his 2007 book “Fulham The Complete Record”: “By adding all-seater stands behind the Hammersmith and Putney goals, Craven Cottage became, at a stroke, a modern football ground (thankfully, still not yet a 'stadium'), yet one which retained its old-style charm. The 1905 Stevenage Road stand and the Cottage were still in place and untouched, the oldest surviving examples of [Archibald] Leitch's work and as such a throwback to the pre-1914 era. They are, moreover, listed buildings. 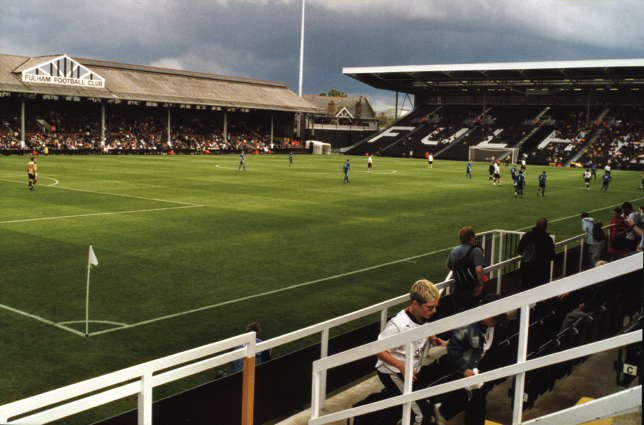 But the addition of the two stands behind the goals in 2004 (the responsibility of Fulham director and supporter Mark Collins) was done extremely tastefully and they have blended in very comfortably with the more traditional surroundings. The atmosphere with a full house (and there are quite a few these days in the top flight) is much better than at many more palatial grounds.” The Craven Cottage saga is one that has seen innumerable twists and turns but has enjoyed, for the foreseeable future at least, a wonderfully happy conclusion. The tale also demonstrates that Boards, Managers and Players come and go over time but that the Fans – at least the club's diehard supporters – remain constant.